I am not sure what you are doing but it is wonderful light so close to dawn! mjw, lol, yes, shooting at parachutes from a heli would be fun. I assume that you mean with paintball guns? Greg, it was cool hey. I’ll show you what I was up to in the next post. Thanks Hussain. It’s about the same time of the year that this photo was taken, so you stand a good chance – let’s hope for good weather! Enjoy your stay in Cape Town! 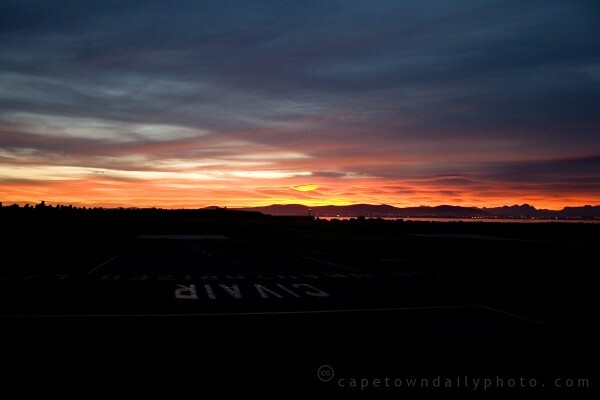 The cable car to go to the Table mountain opens quite late so i cannot reach there early morning…..Which is the best place to go to take the morning sunrise pictures….. I will be staying at the V & A Marina. Hussain, even though the cable way won’t be open early enough you could still go up to the lower cable station – I’m sure you’ll get a great view. Another option would be to go up Signal Hill. You’d have a view of Table Bay, with the sun rising over the Boland Mountains. Another great idea is to walk around in the V&A Waterfront. You’ll get brilliant early morning shots. Try anywhere in the Waterfront area, but check out the area close to the Clock Tower. 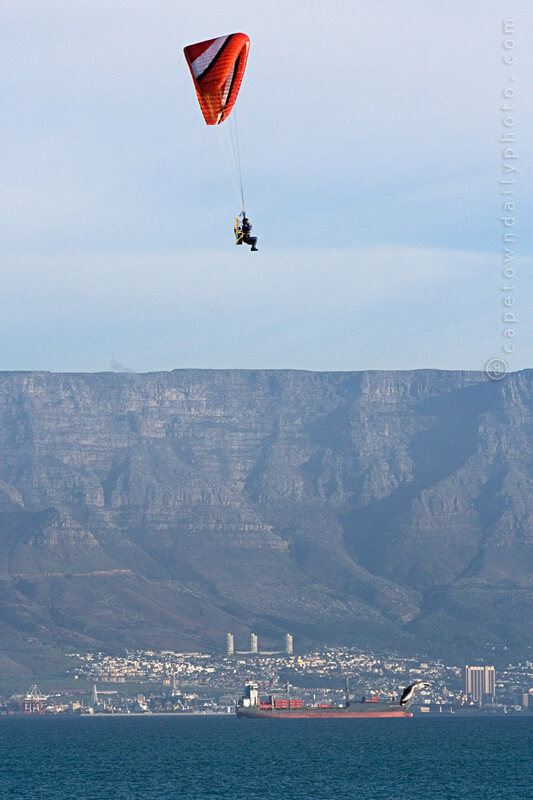 For sunset, if the weather’s good, then you could go up Table Mountain and catch the sunset from the top. I’m not sure how much you’re into photography, but if you have a graduated neutral density filter, that would help greatly to balance out the contrast.